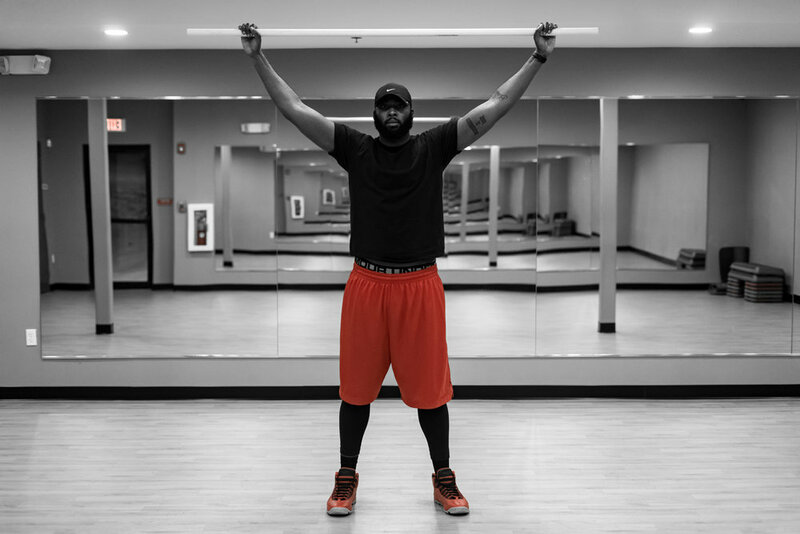 Hey guys, My name is Rodney Alphonse, and I’m a Personal Trainer located in the Boston area. This year I'll be teaming up with The Milli Blog to help everyone stay on top of their health and fitness goals... new or old! One of the most important parts of working out / exercise has to be stretching. Often times people aren't stretching their muscles as much as they should, or even at all. Stretching can help alleviate both pain and stiffness, whether in the present or even the future. Whether working out or not, stretching our joints and muscles should be part of everyone's daily routines. Stretches chest, arm and shoulder muscles. Improves shoulder mobility. 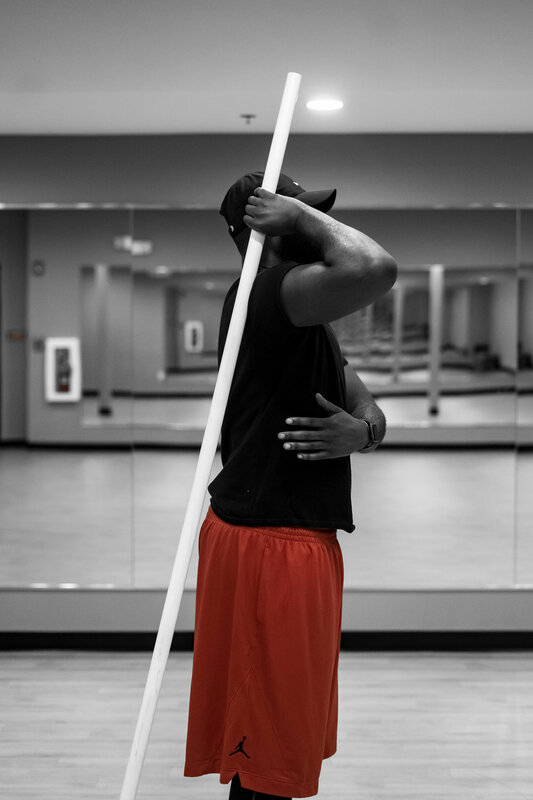 Step 1: Start with a wide, comfortable grip at each end of the PVC pipe (move hands closer together as shoulders become more mobile over time). Step 3: Continue bringing the pipe behind you as far back as you can (you want to be able to touch your lower back). Step 4: Hold briefly then bring back to front position. Repeat 6-8 times for best results. 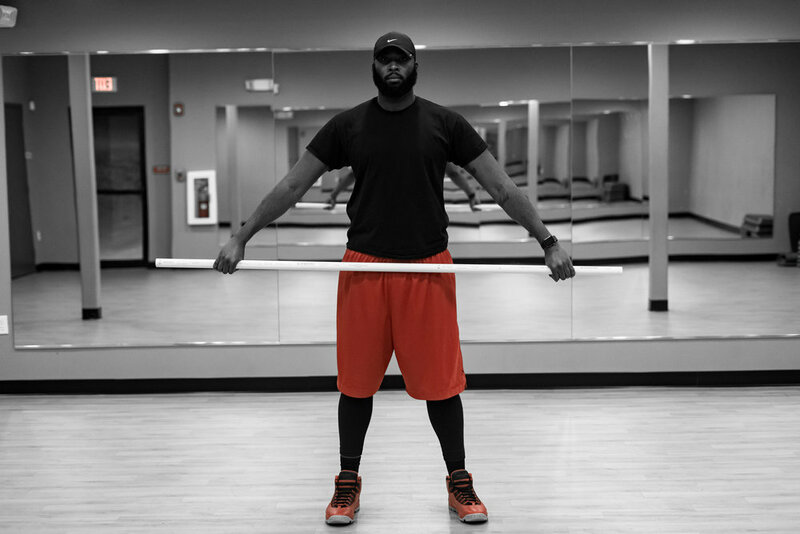 The objective is to push the bar the bar away from body during the duration of the movement. Stretches chest, arms and shoulders. Improves shoulder mobility. Step 1: Start with a wide grip at each end of the PVC pipe and keep elbows straight (move hands closer together as shoulders become more mobile over time). Step 2: Raise your left arm up overhead then down the back side of your body as close as you can (the goal is to be able to touch your lower back) until the bar is completely straight behind your lower back. Step 3: Then lift your right arm up and over your head, continue motion until the bar is in front of you at starting position. Move at your own pace to avoid strain. Stretches arm and shoulder muscles. Improves shoulder mobility. Step 1: Start by holding the pipe in your right hand and gently swing it behind you (thumb down like your going fishing). Step 2: With your left hand, reach over across the body and grab the pipe. Step 3: Gently pull the bar with your left hand and make sure to keep the right elbow out to the side. Hold each movement for 10-15 seconds. Hand placement should start off with a wide grip. Work them in closer as you increase mobility. I personally like to use a PVC pipe to do these basic shoulder stretches. However you can do these in the convenience of your own home by simply using the sticks of a broom, mop, or any other pole you have lying around. These stretches are great if your shoulders are ever feeling tight or sore and you need to loosen up a bit. This article was written by certified Personal Trainer Rodney Alphonse. Follow me for more fitness tips! Like what you read? Share this post with other Millis! Sign up below to receive the latest Milli News & Blog updates!